“The completed project will add to a series of exciting public buildings that frame Sir Winston Churchill Square an…..
RT @leroyschulz: What you see is the creation of a new public space at Edmonton Public Library’s flagship downtown Stanley Milner.. The Alexandra Park SQ Condos, a project with @tridel and @TOHousing, is on the front cover of @AzureMagazine’s Sept…..
RT @MONTECRISTO_Mag: Thinking about all of the people involved in the architectural process, @LatsAP started to photograph projects from..
Teeple Architects has announced the promotion of Richard Lai, Bernard Jin, and Myles Craig to Director, and the promotion of Tomer.. Earlier this week, Teeple Architects announced the promotion of Richard Lai, Bernard Jin, and Myles Craig to Direct…..
Congratulations to the Bianca Condos project team for winning a @PCBC_TheShow Gold Nugget Award of Merit! We wish all Canadians and Nunavummiut a happy #NunavutDay! 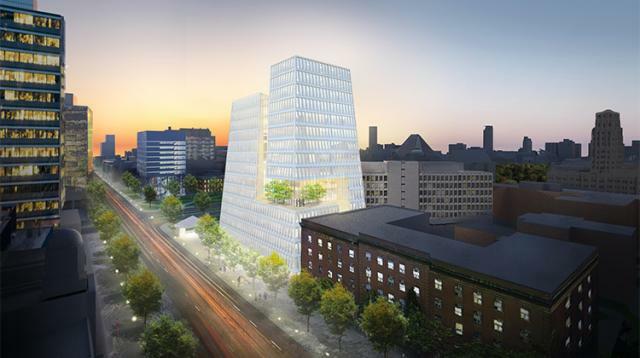 We’re very grateful for the opportunity to work in this…..
RT @Urban_Toronto: U of T Planning “PIE” Complex on College Street. https://t.co/EnCjlxoOLA #Toronto #development..